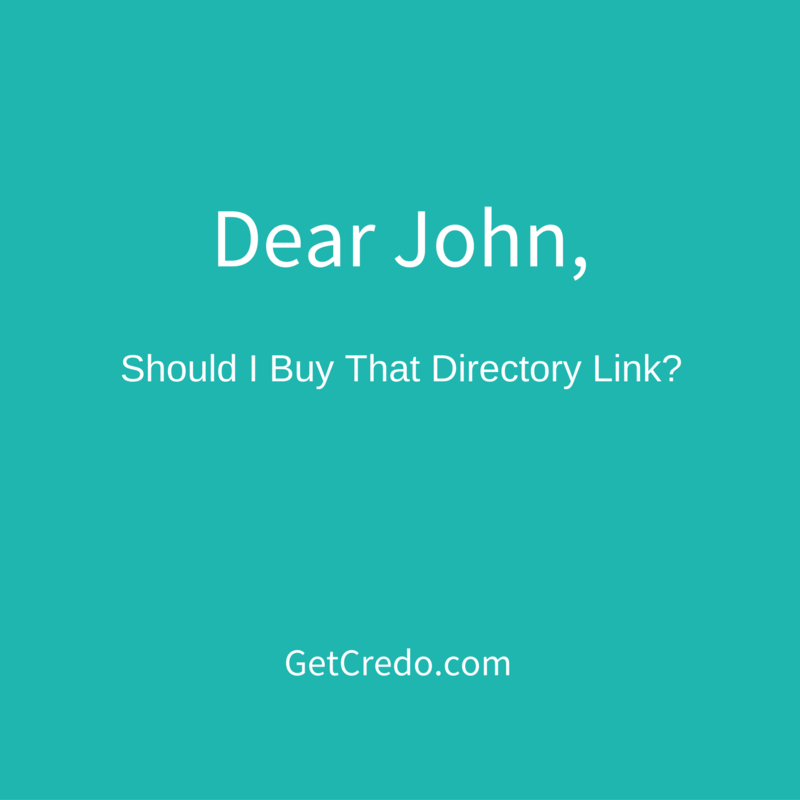 Dear John: Should I Buy That Directory Link for SEO? I KNOW the hard and true answer to this, but I’m looking for deeper insights regarding links like those contained on this page. I understand the by-the-book answer to this would be only pursue a paid link if it is “nofollowed” OR if it has the potential to bring in new business and traffic. My question is ….does a link like this actually pass SEO value? I see businesses killing it from an SEO standpoint with link profiles full of paid directory links like this. I also thought this conversation was more interested now that Google appears to devaluing links like this instead of issue penalties. They are actually advertising different types of links depending on what you pay. They also don’t say where the additional links for the higher price will go. They’re willing to link deep for more money. This is a red flag. Their WHOis info is private. Not a good sign for an above-the-board company. They have another directory on this same IP. If that one got hit, so would this one. They may have a DA of 56, but if you look at their links they’re (almost) all comment links that were likely built with an automated tool. All of these are red flags to me. The fact that it is topically relevant to your site is a good thing, but in my opinion the bad definitely outweighs the good. Spend your money creating things and then outreaching them to get the links that will actually build your business.